As you can imagine, by now I am becoming a little bit skeptical of DIY cleaning products. But, this one was easy to put together (I mean, I’ve got used fabric softener sheets out the yin-yang with all the laundry we do around here), so I thought I would give it a try. 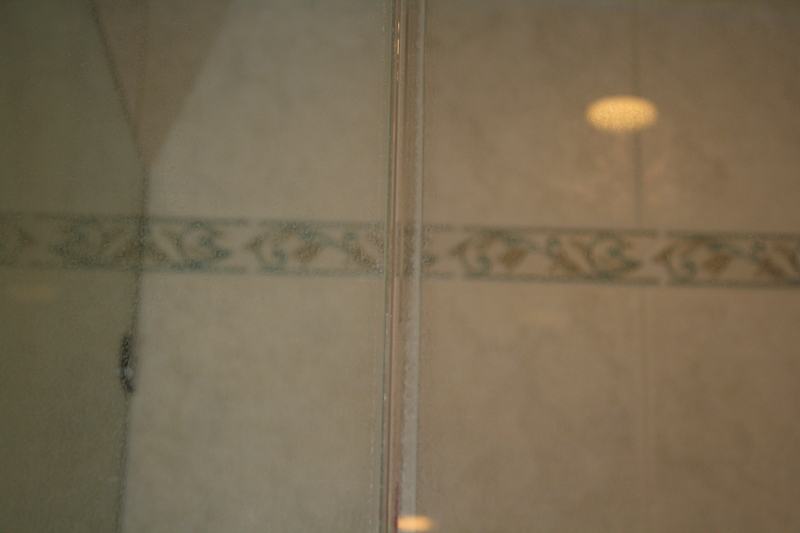 The process is very simple: Take a used dryer sheet, dampen it, and wipe away the water stains from your shower door. Sounds easy enough, right? 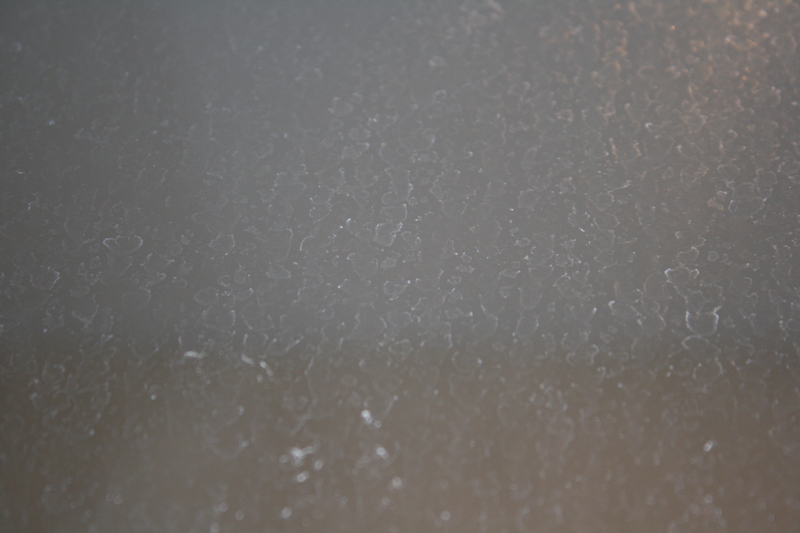 This is what my shower door looked like, and mind you, it was cleaned with bathroom cleaning products four days ago. So, I dampened the dryer sheet and got wiping. The sheet dries out quickly, but I wet it again and again as I worked, rubbing in a circular fashion for about five minutes. The results, were surprising! It actually works! You can even see through the glass! 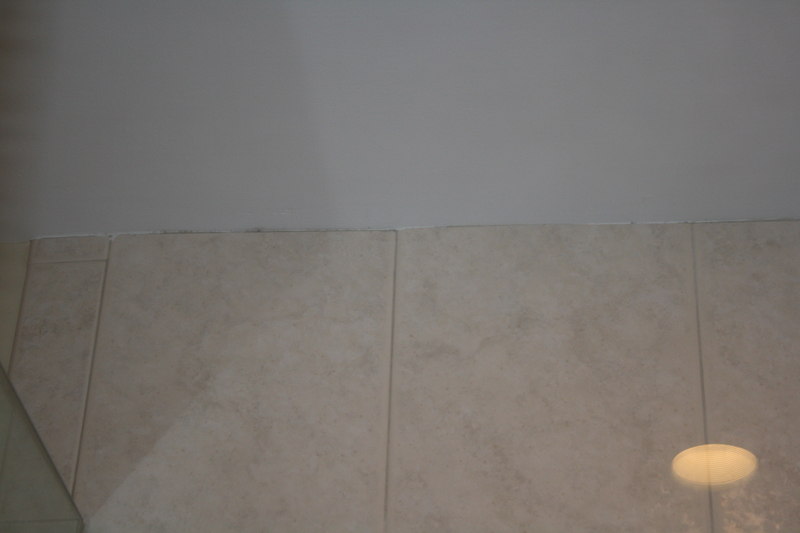 This photo shows the contrast between the door and the wall of the shower, which was not wiped with the dryer sheet. I think there is a discernible difference. It only took one used sheet, and when you run your hand along the glass, it feels even better than it looks. Cost: Nothing! I was going to throw that sheet into the trash.